I have tried on several occasions to get interested in the TV series “The Walking Dead.” I managed to get through 2 episodes of season one. The post-apocalyptic premise intrigued me. The series begins with a sheriff’s deputy who wakes up from a coma to find himself in an abandoned and damaged hospital. He quickly realizes that his wife and son are missing. Next, a voracious mob of starving “walkers” soon show up and the scene is set. A cute guy, perhaps the hero, has to overcome all sorts of unforeseen obstacles while on a quest to find his family. In order to this, he has to slaughter thousands of un-dead creatures along the way. As I watched, I began to slowly realize that I wanted to care about the individuals who were part of this insatiable gang. But, alas, it was not to be. It was obvious to me that this gluttonous throng was merely a group of “extras” and not one of them would ever become a lead. For the past couple of years there are days when I feel as though I am walking around in a zoned out hazy state of non being. Has this challenge zombied you out? 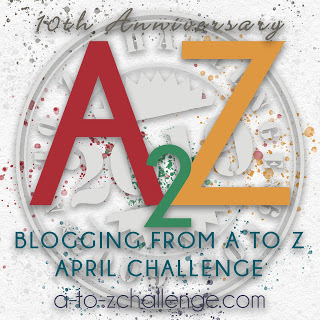 Click here to find out who made it to the end of 2014 A-Z April Challenge. I enjoyed your A-Z posts and Koda and look forward to more. I really appreciate your regular visits and comments here. Thank you! I don't get the whole zombie hoopla. I know the show is popular. I know zombies as a topic are popular. But... I. Just. Don't. Get. It. And I'm okay with that. 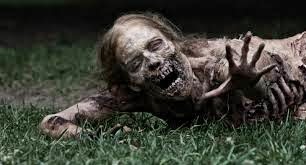 Knowing my aversion to anything zombie, I skipped The Walking Dead. I don't regret not being in the know. In my opinion, you have nothing to regret. One of my favorite bloggers is John Gray of Going Gently. He adores this show. Thank you for visiting and showing your support. I’m glad I found your blog. I’ll have to check out John Gray. I am not into zombies at all.....although I do feel like a zombie at times. I am glad to have found your blog. Hi Paula, Thank you for visiting. And especially thank you for telling your story.